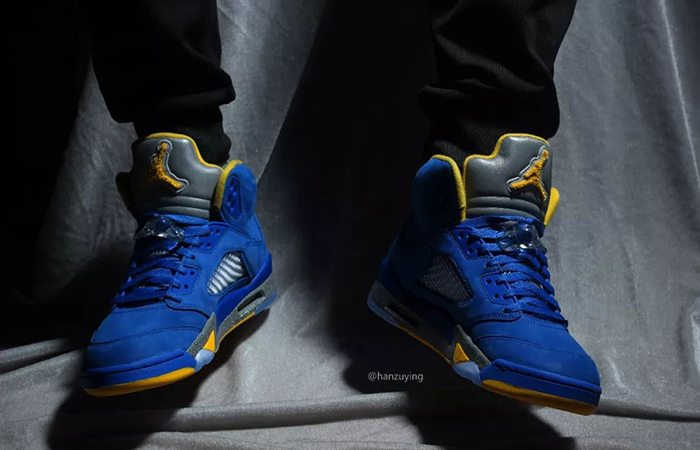 Air Jordan 5 JSP Laney Blue is a throwback from Michael Jordan to his High School days at Emsley A. Laney High School, Wilmington, North Carolina. MJ’s soft spot for his school alma mater inspires this stunning colour palette of royal blue and yellow. The school’s Bball team had blue accents in their jerseys. MJ’s jersey is hanging there with his number 23 popping up in blue. 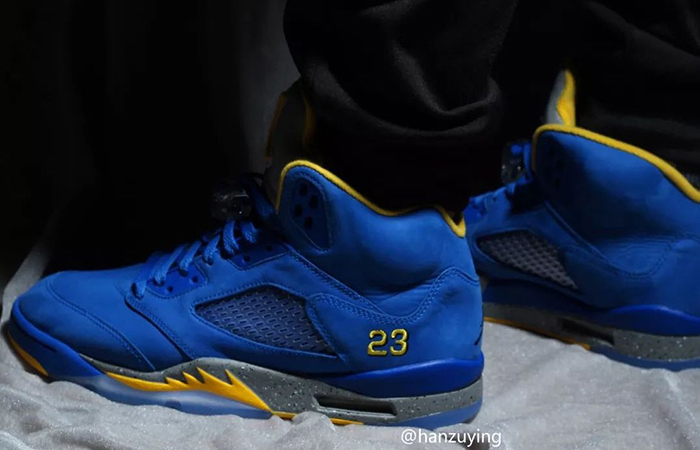 Now you know why this shoe called Laney Blue. The custom-made nubuck leather upper fits the season perfectly! The softness is much needed while the robust aesthetics keep you safe. Follow @FastSoleUK for more. The design is visually comforting if you take a good look. Velvety nubuck crafts the entire shoe including the overlays. Synthetic mesh on the sidewall windows and the squishy tongue allow your feet to stay fresh and snug. 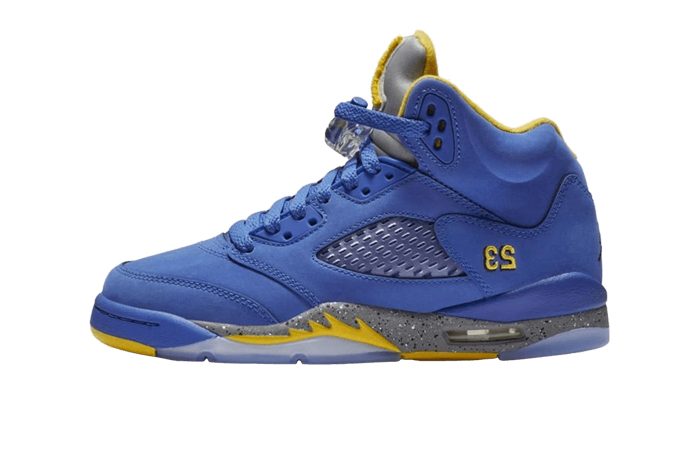 Yellow on the inner walls, chenille Jumpman logo, the number 23 embroidery, and the midsole accents add a shocking pop. Grey tongue and midsole contrast the theme further. The toggle-pull lacing system is the best thing for slowpokes! 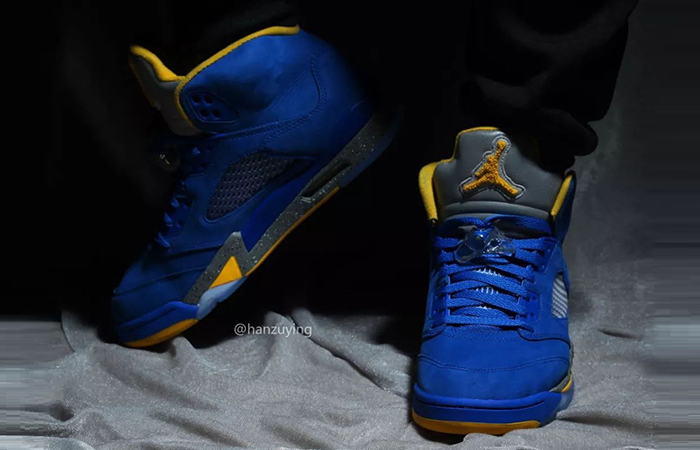 Air Jordan 5 JSP Laney Blue releases January 26th via listed UK and European retailers.